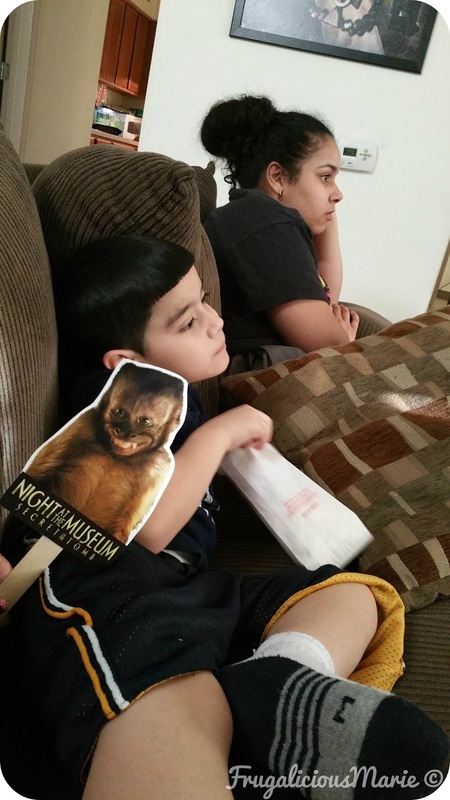 Night at the Museum Movie Night! Good Morning guys! 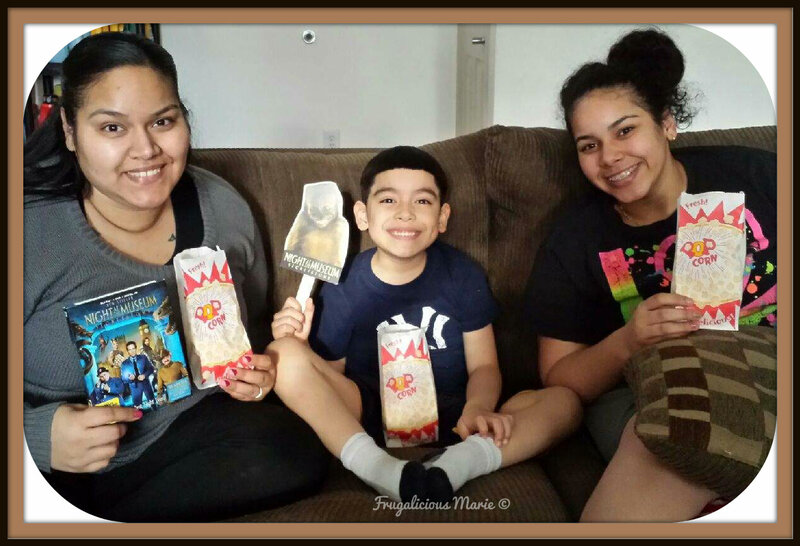 On Monday night the kids and I had a movie night! 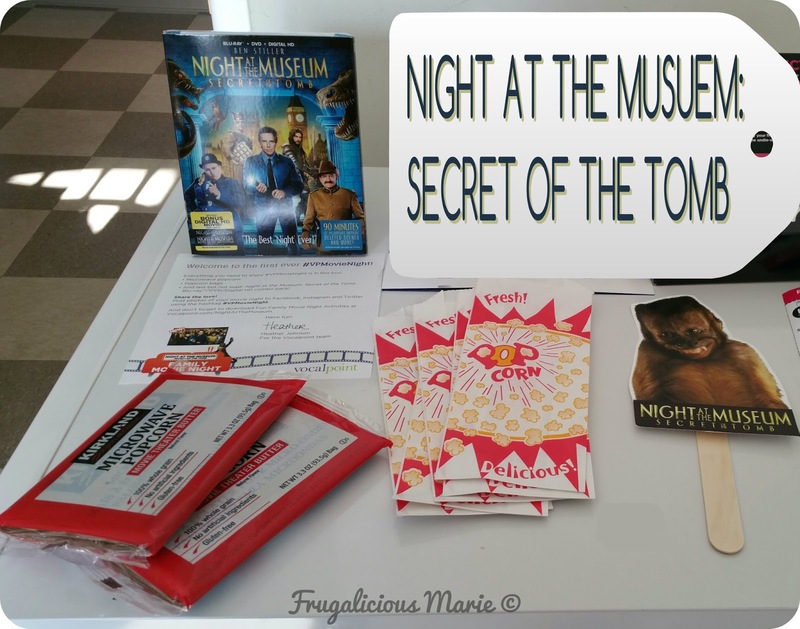 We usually have movie nights on Fridays but we received Night at the Museum: Secret of the Tomb and we wanted to see it at that moment! The movie was a little over 2 hours but you couldn't even tell because we were laughing and enjoying the movie from beginning to end! The kids had their eyes glued to the TV! I didn't take much pictures since I myself wanted to watch the movie but the ones I did take were great! Kirkland's signature popcorn was also yummy! We kept refilling our popcorn bags. 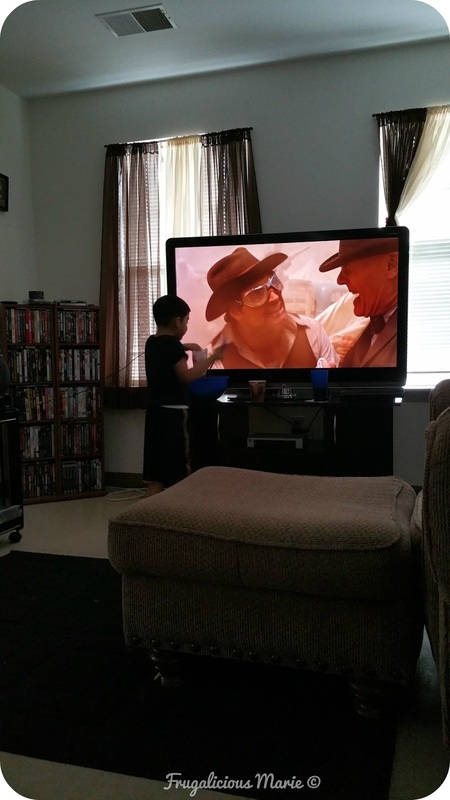 My son kept getting up to refill his bag. 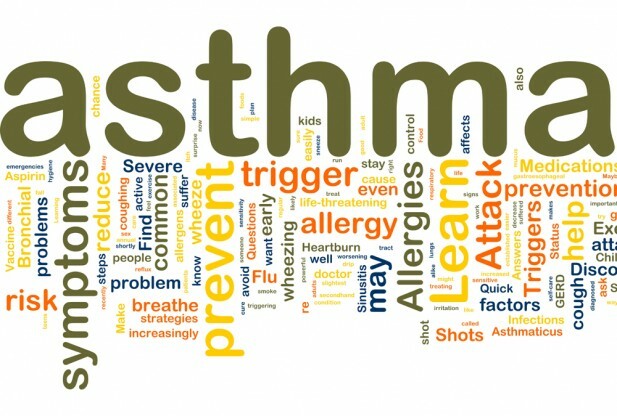 As you can see in the picture below. Great idea for tonight. Thanks! !